Today we have the pleasure of featuring Mufeed Areekkan in our Money View story section. Mufeed is a first year B.Tech student at NIT, Kurukshetra. Born and brought up in Kerala, this is Mufeed’s first time far away from home. In the time when he is not polishing his Hindi or looking for a place to eat food similar to home cooked food, he is taking stock of his finances. Mufeed is a conscientious spender who is much more aware of his spending habits as he moved away from home. Now each month, he keeps tabs on how much he spends so that he knows how much money he has to ask his parents for. 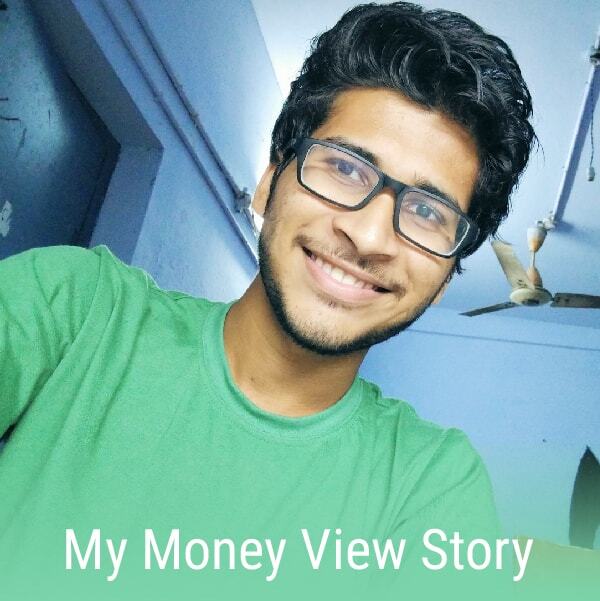 How Money View Came into Mufeed’s Life? It was just a year back that his parents bought him a smartphone. Being a person who likes to be careful of his spending, he downloaded the Money View App from Playstore. He did try out a competitor app as well but deleted it when he did not find it comparable to Money View’s features. He has been using Money View daily since then. Mufeed uses Money View as an expense tracking App. He methodically inputs every penny he spends, even the cash, daily. He loves the weekly and monthly spend patterns that the App displays. He uses the Budget feature to keep tabs on his spending. And he has been able to save some money every month due to the disciplined spending habits that Money View has helped him cultivate. He also loves the Split feature which lets him split expenses with friends. Since he is a student and does not have any disposable income, he does not do any investment as yet. Mufeed maintains that Money View is an App that every student must have. He believes that as one slowly lives away from parents and manages their own finances, it is easy to lose track and go awry. Money View keeps you both conscious and conscientious of your spends. Mufeed praised the customer support team at Money View which is very prompt in responding to queries and feedback. He had a special word of praise for them. Finally, demonetization has not affected him much in Kurukshetra. He does most purchases online except for eating out and sundry small purchases. He is also fortunate to have a functioning bank branch and ATM within his campus and hence has no trouble in withdrawing cash. He did check out the Find ATM with cash feature on Money View recently only out of curiosity. We hope he continues to stay lucky with money. It was a pleasure talking to Mufeed and hearing how Money View has facilitated his life. If you want your Money View story to be featured on Money View Blog, do write to us at blog@moneyview.in.